Writing can change lives! If you are struggling with emotional problems, it is normally best to see a counsellor, psychologist or psychotherapist, to get some help with your problems. One of the reasons that this is important is that, having your emotional pain witnessed, and validated, by a healing person, is hugely therapeutic. However, it is obvious that many people cannot afford to resolve all of their psychological problems through the relatively expensive processes of counselling and psychotherapy. And many people are so sensitive about their problems that they would find it hard to trust a professional helper in a face-to-face situation. Therefore, it may often be necessary to turn to self-directed writing therapy. 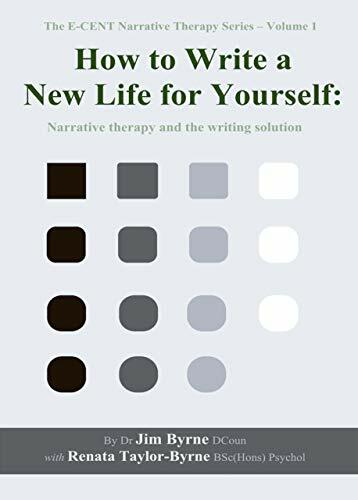 This book will help you to learn how to write out your concerns - your worries, problems, emotional difficulties, life plans, trials and tribulations - so that they can be clarified, digested, re-framed, and subjected to processes of problem solving, decision making, and - if successful - filing them away in non-active 'memory files' which no longer trouble you. This has been shown, in scientific research, to resolve problems of depression, stress, and other emotional difficulties, and to improve immune functioning, creativity and personal productivity. 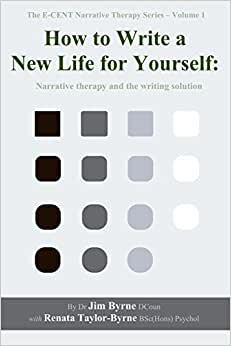 And this book will also help counsellors and therapists to introduce their clients to this most helpful process of self-management and self-therapy, by integrating elements of reflective and expressive writing into their face-to-face counselling processes. Start reading How to Write a New Life for Yourself on your Kindle in under a minute. Jim Byrne has a doctoral degree in counselling and a master's degree in education; plus a diploma in counselling psychology and psychotherapy, and a number of counselling certificates and accreditations. He has been involved in counselling psychology and psychotherapy (private practice) for almost twenty years; and he's written extensively on philosophy of counselling psychology. Furthermore, he has used writing therapy to heal his own life, including writing a fictionalized autobiography of the first forty years of his life. He is the creator of Emotive-Cognitive Embodied Narrative Therapy (E-CENT), which emphasizes the interactionism of body-brain-mind-environment as a whole system; plus the idea that human beings are storytellers in a sea of stories, and that we can transform our lives by re-authoring the story that drives our current life.